Here at the Royal Armouries we have for some years collected objects associated with popular culture, including props for the movies and theatre. In 2008, the Armouries held an exhibition called Arms and Armour from the Movies; The Wonderful World of Weta. 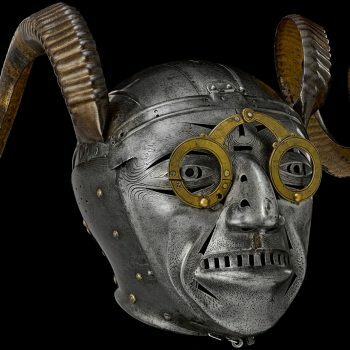 A new project called Collecting Cultures: Arms and Armour in Popular Culture has been supported by a substantial grant from the Heritage Lottery Fund. This project seeks to look at arms and armour through the lens of popular culture, which is increasingly the gateway through which many are exposed to the subject. 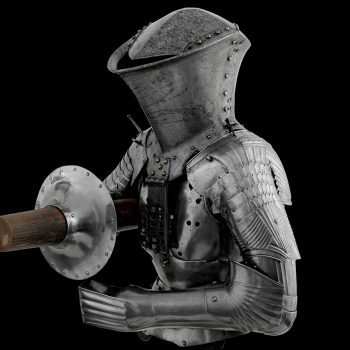 Keen to share and explore ideas on the ‘impact’ of arms and armour in the modern world, our then-Senior Curator of European Armour Karen Watts had an idea for a panel to be presented at ‘The Third Middle Ages in the Modern World (‘MAMO III)’ conference, held at the University of Manchester between 28 June–1 July 2017. 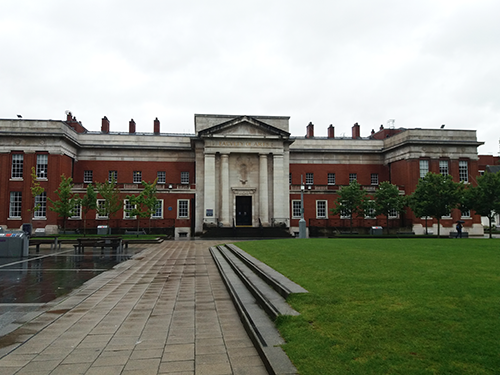 The Third Middle Ages in the Modern World, Manchester University. This multi-disciplinary conference examined various aspects of medievalism in the post-Middle Ages and was attended by over 100 delegates from around the World. The Royal Armouries-sponsored panel was entitled ‘ The Power and the Gory: The Impact of Medieval Armour and Weapons on Popular Culture ‘ and was presented by Karen along with her colleagues Bob Woosnam-Savage (Curator of European Armour & Edged Weapons) and Jonathan Ferguson (Curator of Firearms). Karen’s presentation was ‘ The Resuscitation of Dracula: the Modern World in the Middle Ages’ . Bram Stoker’s 1879 gothic horror novel, Dracula provoked a revival of interest by 19th and 20th century historians in the original Vlad. 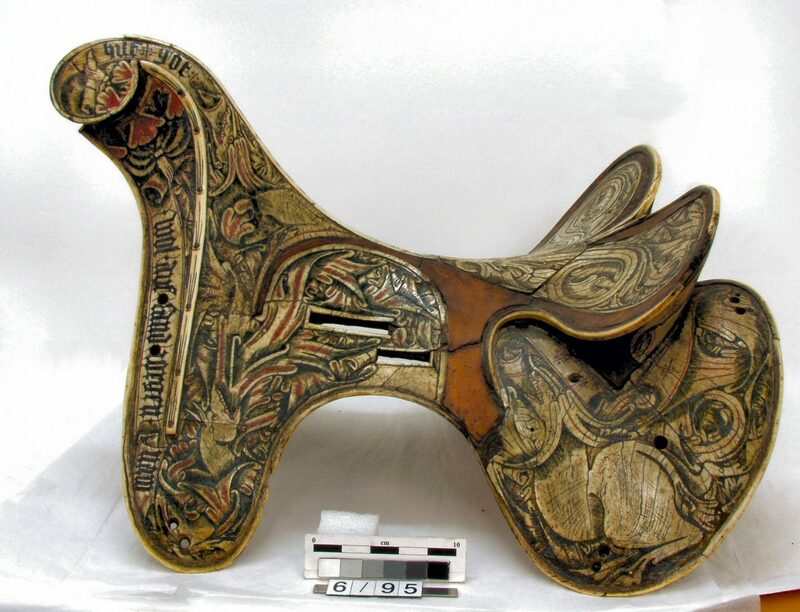 In the collection of the Royal Armouries is a mysterious Hungarian saddle that tells a story. (VI.95). (XII.11811). 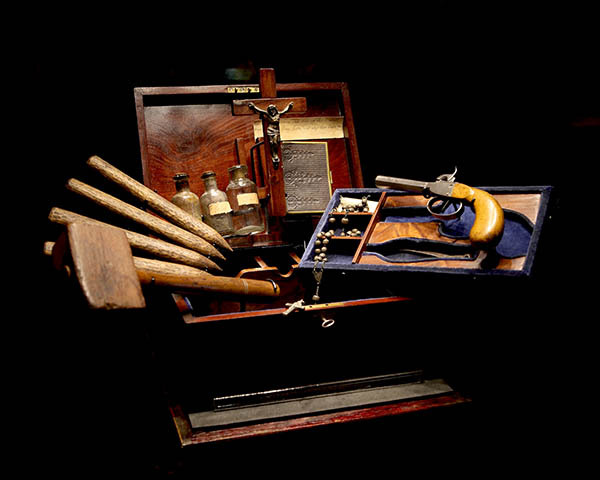 This is one the vampire killing kits thought to have originated as novelty items in Britain, c1970, significant as the heyday of ‘Hammer’ horror movies. Bob’ s talk was entitled ‘ Of Knitted Mail, Silver Paint and Plastic Rings: Medieval Armour of Knights at the Movies ‘ This examined the underrepresented aspect of medievalism that is found in the realization of medieval arms and armour, particularly that seen in film. Public perception of arms and amour is, and has been, largely coloured by what is depicted in popular culture. It is arguably now the primary means by which the public are exposed to the subject. 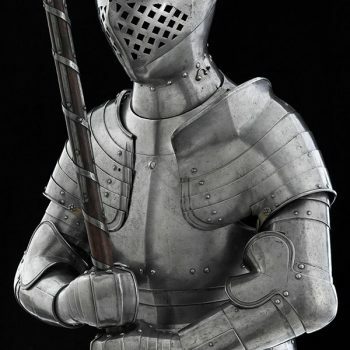 In fact it is still the popular idea of armour portrayed in many movies – and accompanying misconceptions- that holds sway over the public, and even sometimes academic, consciousness. The talk gave a brief visual history cinematic armour, from the string mail of the early Georges Méliès movies to the more sophisticated plastic rings used to create the illusion of metal mail armour today. The audience also had the chance to handle an example of this latter form of film armour, and was surprised at both its realistic look and light weight. Jonathan’s presentation covered firearms and was called ‘Devastating New Options: Medieval Firearms in Popular Culture’ (after a description of downloadable content for the game ‘War of the Roses’). 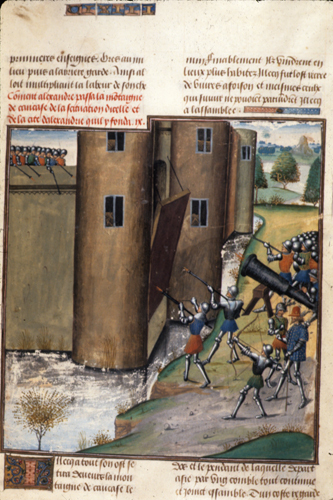 He showed just how rarely medieval guns (here meaning up to about 1500), whether portable like the early arquebus or large as in siege artillery, are depicted in popular culture. This is strange, given that the body of research shows that both types had not only been invented by 1400, but were in common and effective usage by 1500. It’s even more surprising when we consider how many liberties do get taken in movies, TV and video games in order to incorporate cool pieces of arms and armour that will entertain the audience (many of which can be totally anachronistic). Jonathan’s research suggests that this is a result of audience expectations. Guns are used sparingly in cinema and TV, those that appear being inserted to make a plot point about the death of knightly combat or the technological superiority of one side over the other. In games they are even less common, as developers that choose to include them have to be careful not to create weapons/character builds that are ‘OP’ (over-powered). Early firearms defy straightforward visual narrative. If someone has a gun, surely they would just win, wouldn’t they? In reality the shift from edged weapons and bows toward effective and affordable firearms was a slow one. Whatever the form of media though, there seems to be one unifying factor; most consumers really don’t want those new-fangled bang-sticks in their medieval fiction. Somehow they just don’t fit with our romantic notions of the past (until the 17th century, when suddenly they become acceptable). ‘Knights’ with guns? You may as well try to put feathered dinosaurs in Jurassic Park… Or, can you imagine a gunfight between the Merry Men and the Sheriff of Nottingham’s soldiers? The next ‘Middle Ages in the Modern World’ conference is already being planned to take place in Rome. This conference was the ideal platform to discuss and bring to the attention of other academics from around the world relevant aspects of our HLF ‘Collecting Cultures’ work. This was proved when less than a week later a fellow attendee and speaker, Victoria Cooper, spontaneously praised our panel’s presentation and topics covered during a Roundtable Discussion at the International Medieval Congress at Leeds University on ‘The Possibilities and Pitfalls of Public Medievalism’. So – well done Karen for spotting ‘MAMO III’ and getting us on board.